The story is told very well using environmental atmosphere, memorable enemy encounters, with plenty of cut scenes. 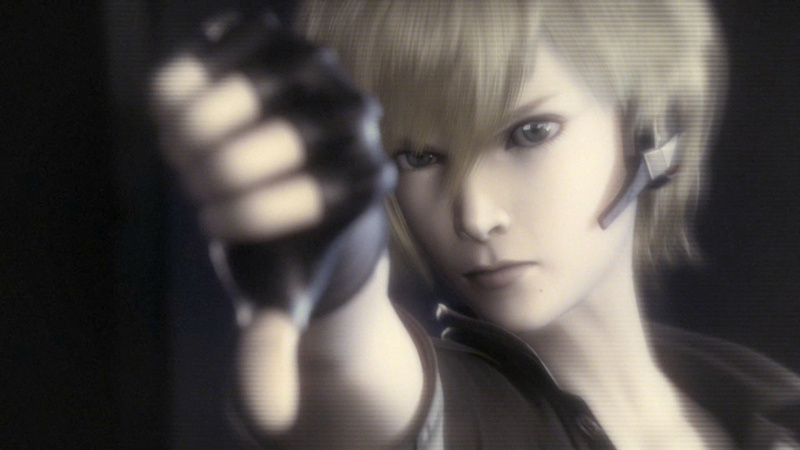 The back story is told through memories, that are famous moments from previous Metroid games recreated in the Other M style. All of the pre-rendered videos can be viewed at anytime in any order once the player has completed the main story, or can be watched all at once in the theater-mode. This movie is a 2 hour long stitch up of all cut-scenes with additional story information from pre-recorded enemy encounters. Like other Metroid games, time is spent collecting upgrades and expansions for your armor and weapons. 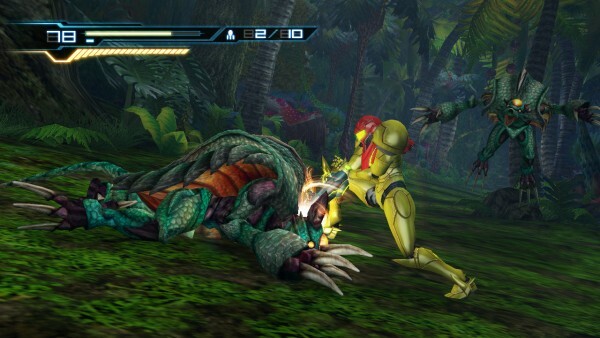 Previous games would put Samus in a scenario with her missing the majority of these upgrades at the start, and the player would have to find them within the levels. In Other M however, Samus has all of her upgrades from the start, but because she is working with the Galactic Federation she is unauthorized to use certain weapons and armor abilities until given the order. 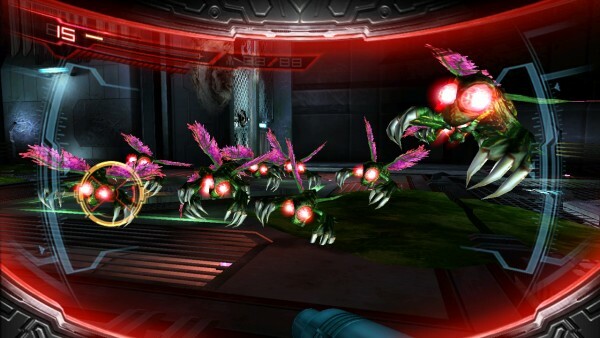 Team Ninja, creators of the Ninja Gaiden and Dead or Alive games, partnered up with Nintendo to create this unique game to the Metroid universe that plays like a mixture between the 2D side scrolling classics like Super Metroid, and some of the newer first person titles in the Metroid Prime Trilogy. 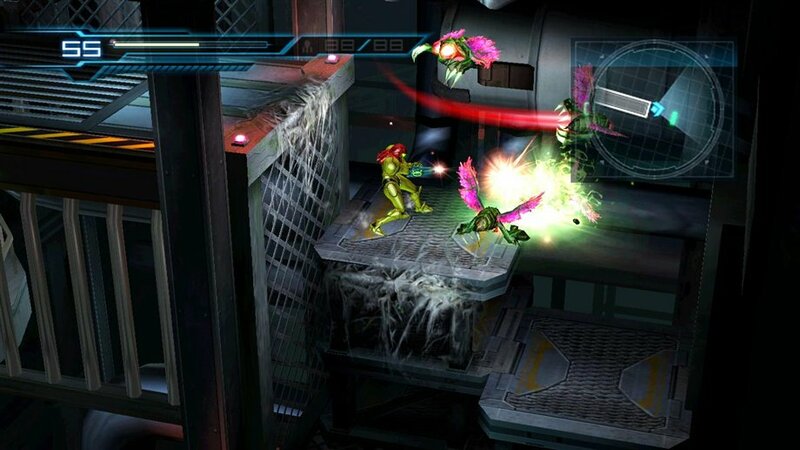 For the majority of the game you are controlling Samus from a camera that is behind the wall, similar to that of the old school games in the series. However, contrary to the games on old Nintendo consoles, the movable area is in 3D space. By having no cross hair while playing in this third person view, Team Ninja implemented an automatic aiming feature that lets the player focus primarily on traversing the world instead of individually targeting enemies. This perspective is controlled with the remote held so the player uses the d-pad with their left thumb for movement and dodging, while jumping and firing are controlled with the 1 and 2 buttons, while occasionally pressing A to use the morph ball ability. Some enemies that will be encountered are difficult and take more than just mashing the fire button. With a fully charged gun, approaching or jumping on a downed or weakened enemy will lead to a predetermined attack that does critical damage if not destroying the enemy completely. The puzzles, enemies, and environments encountered from this gameplay perspective give a nostalgic feeling, bringing the player back to days of hunting Metroids on Planet Zebes with fluid third person perspective controls and combat. Instead of collecting health and missile ammunition from fallen foes, Samus now possesses the ability to recharge missiles at any time and to partially refill health once at a critically low level by holding the remote vertically and holding the A button. This healing mechanic, while at first feels like it makes the game too easy, is very difficult and often impossible to successfully complete while in combat. The best thing to do is not rely on this for combat situations and to focus on collecting health and missile expansions scattered throughout the game. The third person controls of Other M are easy to pick up and simple to learn. What doesn’t feel so natural is the use of the first person perspective, which is required for both combat and exploration. First person mode is activated by pointing the remote towards the screen, at which time a cursor appears. Then the player may hold down the B trigger to lock on to enemies or to turn and look around in the environment while using the A button to fire. Often the player is faced with multiple enemies at once and having to completely change how the controller is held is not only time consuming, but is frustrating when trying to locate where the remote is being pointed. Another aspect of first person controls that can be frustrating is when trying to locate something in view, that requires a scan or attention for the story to progress. When put in these situations the player must reciprocate pinpoint accuracy on the object or location that requires attention. There are several situations where the solution to the puzzle is obvious, but where to point the cursor is the challenging part. Other M does a great job at using the Wii’s limited capabilities to produce what looks like a beautiful game, unfortunately the same thing cannot be said about the sound. What has stood out in past Metroid games, dating back to the NES, was the outstanding soundtrack and sound effects. Playing through the length of the game revealed very little music, which was disappointing seeing as how the franchise has such an established sound to it. With such a rich history, and as one of Nintendo’s older franchises, it’s a mystery why more of the sound effects – such as for item pickup and suit upgrades – weren’t used. Some select cinematics and a few choice battles did use music similar to previous games, and these moments are euphoric for fans of Metroid, but are too few to overpower the lackluster noise this game makes. It almost feels as if Team Ninja was trying too hard to make this Metroid game especially different, instead of incorporating the rich audible history from its predecessors. If you are a fan of the other games that have Metroids in them, be hesitant towards this one. While it does a lot of things right, too many things are missing from previous Metroid Titles. Team Ninja worked hard to incorporate this game into the story arc, following Super Metroid, but they didn’t do a well enough job at making it feel like a Metroid game should.